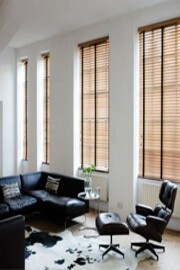 Wood Venetian Blinds are stunning and will add a touch of style, warmth & luxury to your chosen window. They are perfect for both the traditional & contemporary homes as our wide range of natural wood tones will compliment any household. Various options including natural wood tone, distressed wood effect or painted finish. 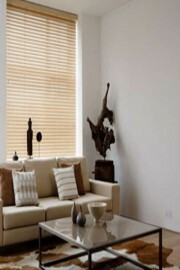 A choice of slat widths are available. 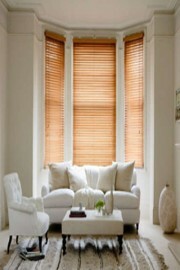 If you want to let more light in we advise you opt for a wider slat which offers a better outside view.